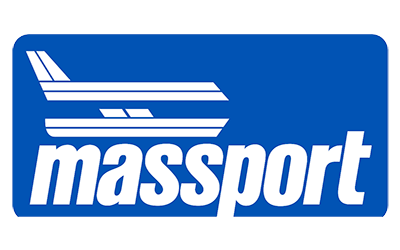 BOSTON – The Massachusetts Port Authority (Massport) Board of Directors today voted to approve the hiring of Harold H. Shaw to the position of Chief Security Officer, overseeing the offices of Corporate Security and Emergency Preparedness. Shaw currently serves as the Special Agent in Charge of the FBI’s Boston Division. He is a Massachusetts native, having grown up in Weymouth. Shaw has served the FBI in various roles since he began there in 1999. Following the September 11, 2001 attacks, he was a key member working on that investigation and pursuing leads. In 2003, he was promoted to Supervisory Special Agent and was detailed to the CIA’s Counterterrorism Center (CTC), where he served as a liaison between the FBI and CIA. In 2014, he was named Special Agent in Charge of the Intelligence Division of the New York Division. During his tenure in New York, Shaw led the world’s largest Joint Terrorism Task Force. Shaw has led the Boston Division since 2015. The Division oversees FBI operations in Massachusetts, Rhode Island, New Hampshire and Maine. While in Boston, he has served as the Director of National Intelligence’s representative for the New England Region. Shaw earned a bachelor’s degree in communications from Norwich University. Prior to joining the FBI, Shaw served as an officer in the United States Army for more than nine years. Shaw will begin in January and replaces George Naccara, who has served Massport in this role since 2014. Naccara had 12 years of experience at Logan as the TSA’s (Transportation Security Administration) Federal Security Director for the region before taking over Massport’s security operations. Naccara served in the Coast Guard for more than 30 years, earning the top rank of Rear Admiral, before joining the TSA in 2002.